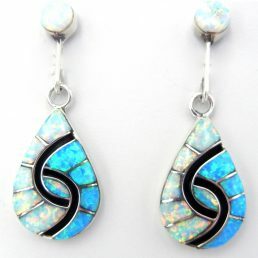 Palms Trading Company is Albuquerque’s preferred supplier of Sleeping Beauty turquoise jewelry. 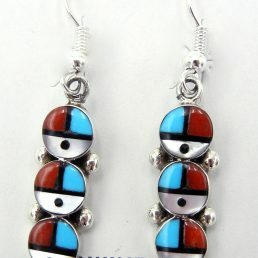 Our authentic Native American Indian earrings, necklaces, rings, and bracelets showcase these gorgeous turquoise gems that are unique to our area. Their unblemished sky-blue color and delicate features have made these elegant Sleeping Beauty turquoise stones among the most popular pieces in our collection. 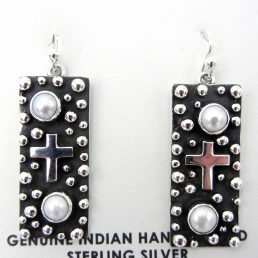 Shop the unrivaled selection of Native American jewelry at Palms Trading Company and introduce the magic of the Southwest to your jewelry box. 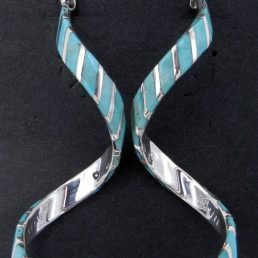 We’re proud to carry a stunning array of Sleeping Beauty turquoise jewelry from the Zuni Native American Pueblo. 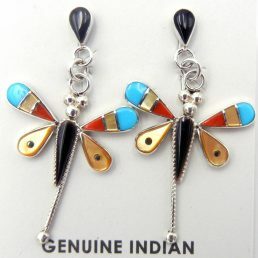 Known for fine stonework, Zuni Indian jewelry often features Sleeping Beauty turquoise set in intricate arrangements. 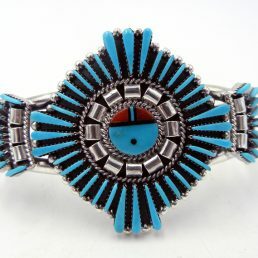 From necklaces and earrings to bracelets and rings, these authentic Native American turquoise jewelry pieces truly embody the culture and heritage of our diverse region. 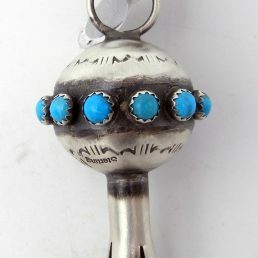 Squash blossom necklaces, the official New Mexico state necklace, which are characterized by a crescent-shaped naja pendant. 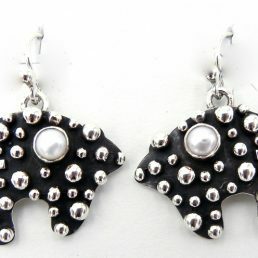 Earrings with inlaid designs that create common symbol mosaics like the Sun Face. An artistic array of rings that feature authentic turquoise stones in hand stamped sterling silver ring settings. 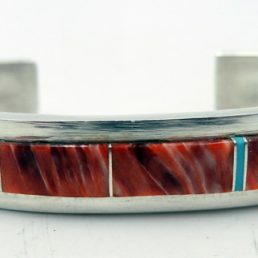 Intricately patterned turquoise bracelets that are as unique as each wrist they rest on. 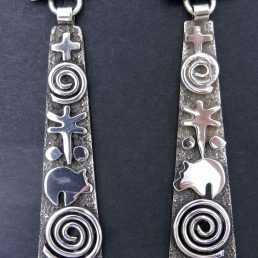 Palms Trading Company carries the world’s largest combined inventory of jewelry, art, and crafts from Southwest Native American Indian artists. Since the 1960’s, we’ve helped customers from all walks of life find the beautiful turquoise jewelry piece that perfectly matches their style. Dealers from across the world have trusted Palms to supply them with the finest handcrafted goods at the fairest prices. Visit Palms Trading Company today and discover our captivating selection of Native American Sleeping Beauty turquoise jewelry.